Learn - Photoshop Elements Editor 11 Edition | Mac App Storeのアプリ検索・ランキング BuzzMac! 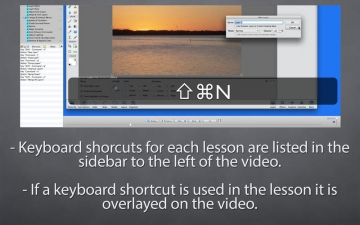 Get the most out of Photoshop Elements 11 Editor with this video training course! This course includes nearly three hours of video training on how to use tools, layers, adjustments and filters available in Photoshop Elements 10 Editor. 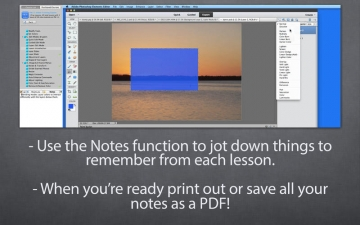 These lessons will help you learn ways to edit, retouch or manipulate your digital images. 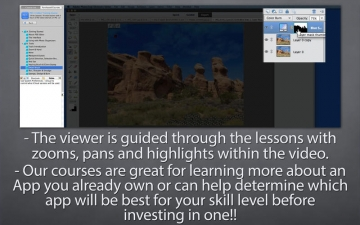 •45 individual video lessons guided by an Elements expert! •Click the "view course outline" button below to see how the full course is structured.